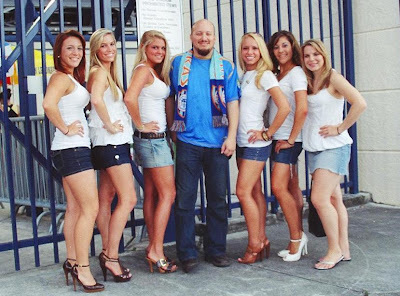 Alert: Miami FC Cheerleaders with pictures and listen to the podcast! Discussion in 'Fort Lauderdale Strikers' started by chichi, Jul 22, 2009. We need everyone at Fritz & Franz on Friday for the game! We got some good lookin' cheerleaders! A few more pictures of the cheerleaders, this time in swimsuits from their calendar!